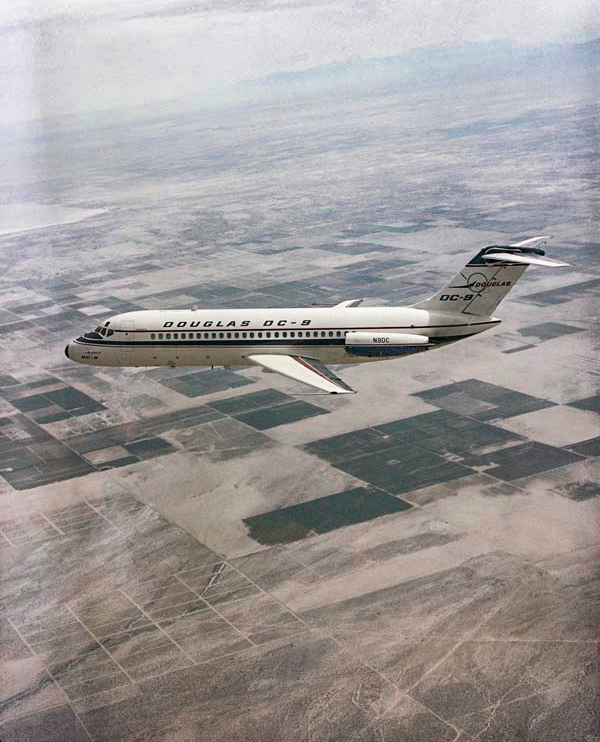 25 February 1965: At 11:26 a.m., Pacific Standard Time, the first Douglas DC-9 twin-engine airliner, serial number 45695, with Federal Aviation Administration registration mark N9DC, took off from Long Beach Airport (LGB), on the coast of Southern California, on its first flight. In the cockpit were Chief Engineering Test Pilot George R. Jansen, DC-9 Program Test Pilot Paul H. Patten, and Flight Test Engineer Duncan Walker. The duration of the first flight was 2 hours, 13 minutes. N9DC landed at Edwards Air Force Base (EDW) where the test program would continue. The Douglas DC-9 is a short-to-medium range twin-engine airliner, operated by a flight crew of two pilots. It was designed to carry up to 109 passengers. 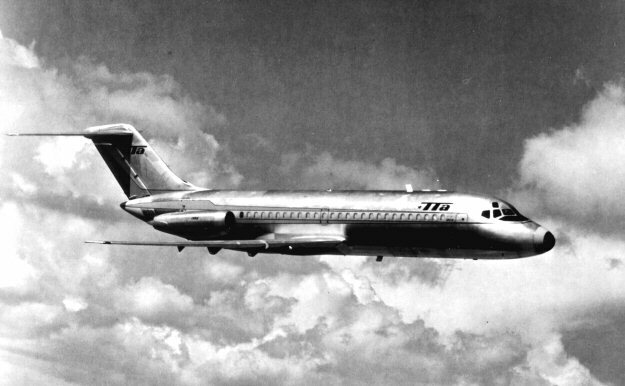 The initial production model is retroactively identified as the DC-9-10. This variant is 104 feet, 4¾ inches (31.820 meters) long with a wingspan of 89 feet, 5 inches (27.254 meters) and overall height of 27 feet, 6 inches (8.382 meters). The airliner has an empty weight of 49,020 pounds (22,235 kilograms) and maximum takeoff weight of 90,700 pounds (41,141 kilograms). The DC-9-10 was powered by two Pratt & Whitney JT8D-5 turbofan engines, producing 12,250 pounds of thrust (54.49 kilonewtons), each. The JT8D was a two-spool engine with a 2-stage fan section, 13-stage compressor (6 low- and 7 high-pressure stages), nine combustion chambers and a 4-stage turbine (1 high- and 3 low-pressure stages). The JT8D-5 was 3 feet, 6.5 inches (1.080 meters) in diameter, 10 feet, 3.5 inches (3.137 meters) long, and weighed 3,096 pounds (1,404 kilograms). 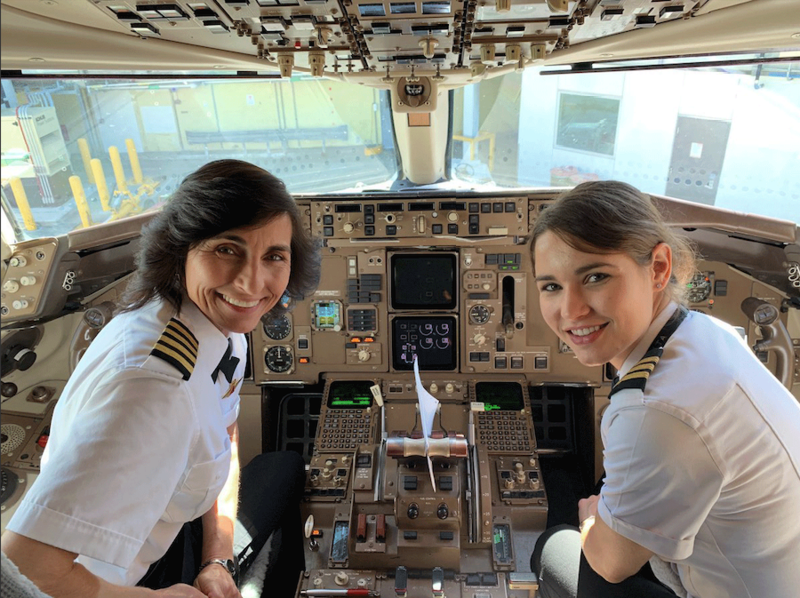 The airliner had a cruise speed of 490 knots (564 miles per hour, 907 kilometers per hour) at 25,000 feet (7,620 meters). It has a range of 1,590 nautical miles (1,830 miles, 2,945 kilometers). 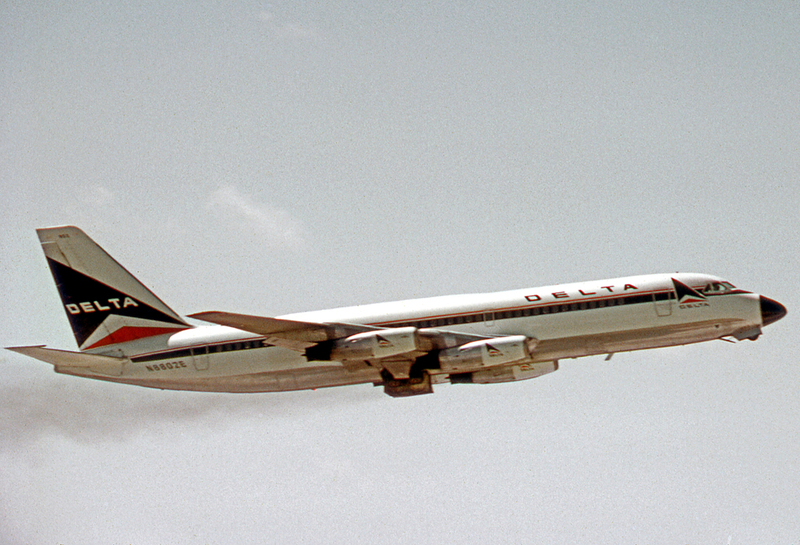 Delta Airlines was the lead customer for the Douglas DC-9. Delta’s first DC-9, serial number 45699, F.A.A. 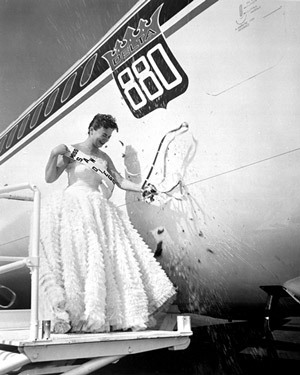 registration N3304L, was delivered in a ceremony at the Douglas plant at Long Beach Airport, 7 October 1965. 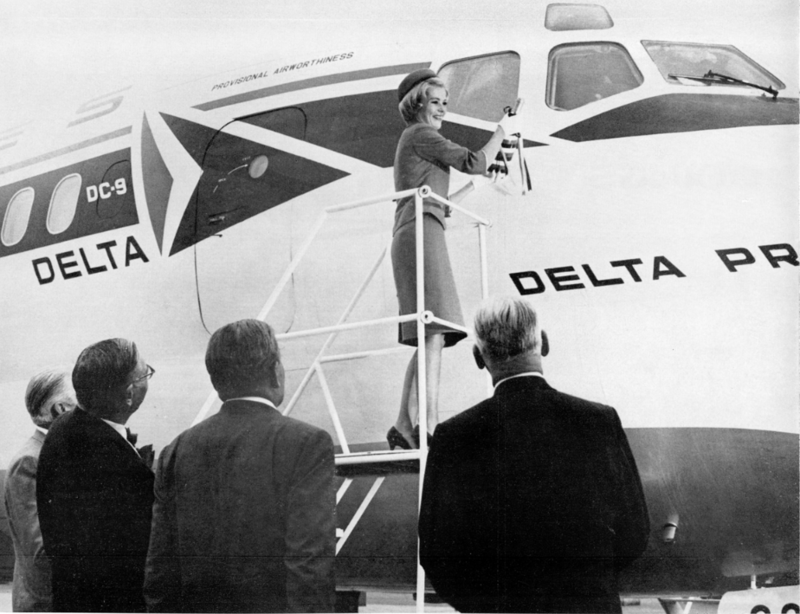 Using a bottle containing water from twenty rivers in Delta’s area of operations, Stewardess Carol Marie Koberlein christened the airplane Delta Prince. 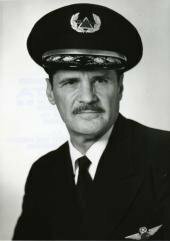 Later that day it was flown to Atlanta by Delta’s legendary Captain Thomas Prioleau Ball, the airline’s Director of Flight Operations. The duration of the flight was 4 hours, 19 minutes. After the flight test and certification program was over, 45695 was leased to Trans Texas Airways and re-registered N1301T. 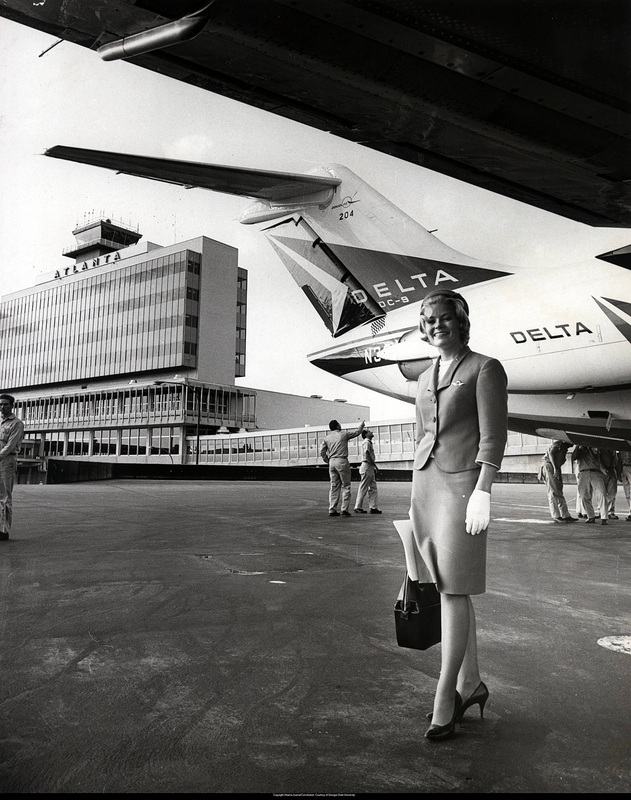 It served with Trans Texas from 1966 to 1982, when the airline merged with Continental Airlines. It retained the same N-number but was named City of Denver. 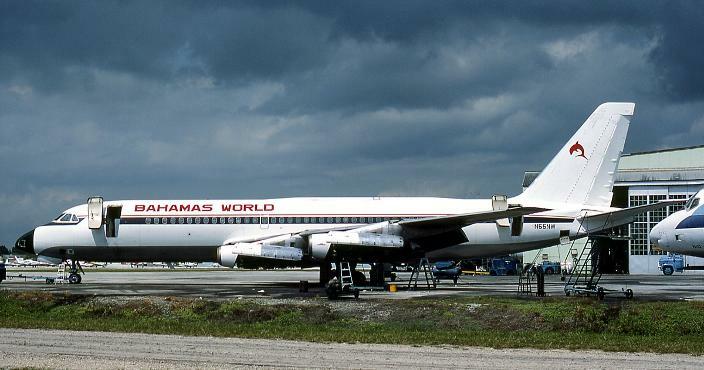 In 1983 49695 was sold to Sunworld International Airlines, a Las Vegas, Nevada charter company. After five years it was sold to another charter airline, Emerald Airlines of Dallas, Texas. 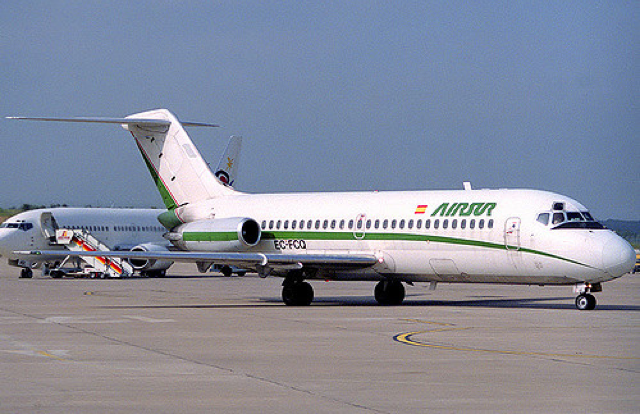 In 1990, Emerald sold the DC-9 to Canafrica Transportes Aereos, based in Madrid, Spain. While operating for that company, 45695 was registered EC-622 and EC-FCQ. Returning to the United States in 1991, it was briefly owned by Viscount Air Service, Tucson, Arizona, registered N914LF. 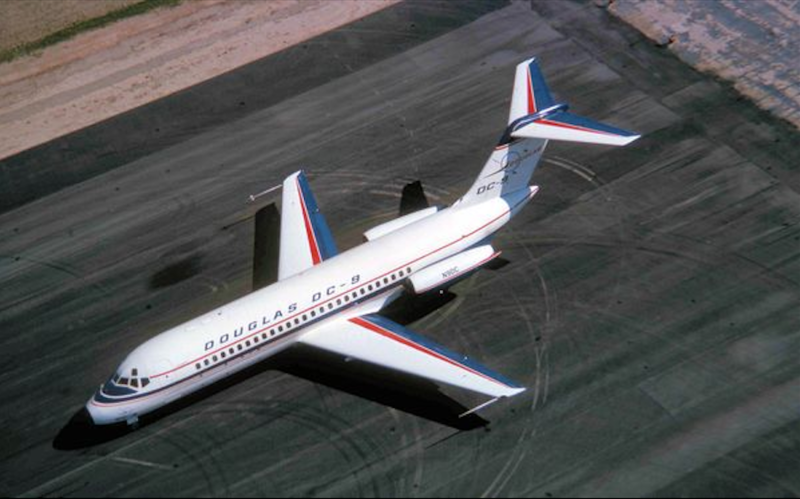 Now 25 years old, ownership of the first DC-9 returned to the McDonnell Douglas Corporation. It was placed in storage at North Texas Regional Airport (GYI), Sherman, Texas, in 1992 and was used as a source for parts. 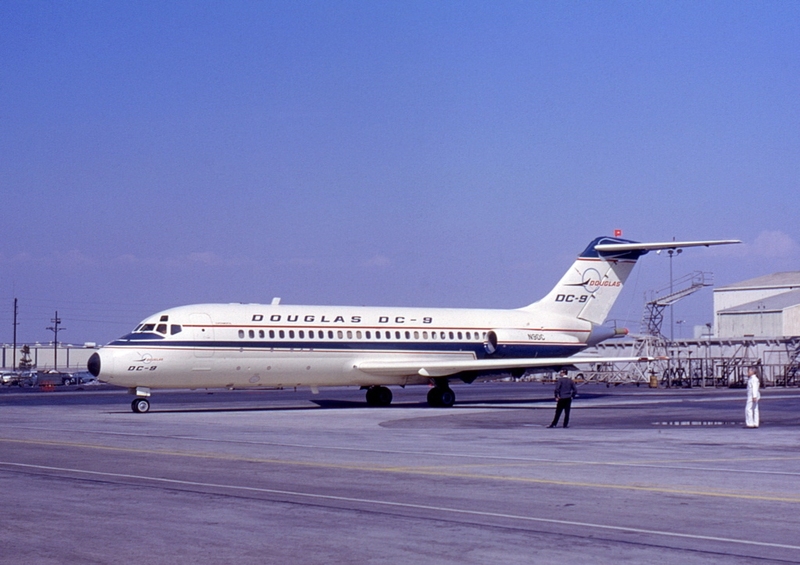 The Douglas DC-9 was produced in five civil variants, the DC-9-10 through DC-9-50. 41 were produced for the U.S. military, designated C-9A, C-9B and VC-9C. Production closed in 1982 after 976 aircraft had been built. 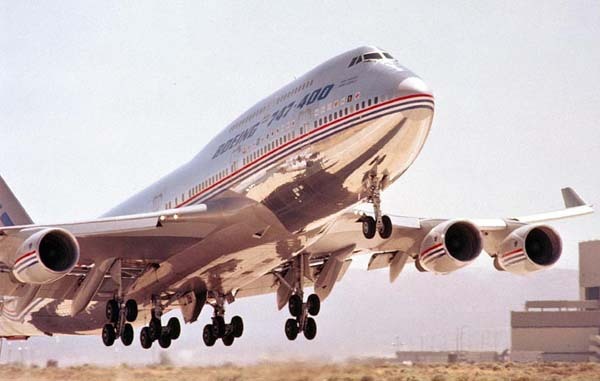 The 747-400 was a major development of the 747 series. It had many structural and electronics improvements over the earlier models, which had debuted 18 years earlier. New systems, such as a “glass cockpit”, flight management computers, and new engines allowed it to be flown with a crew of just two pilots, and the position of Flight Engineer became unnecessary. The most visible features of the –400 are its longer upper deck and the six-foot tall “winglets” at the end of each wing, which improve aerodynamic efficiency be limiting the formation of wing-tip vortices. 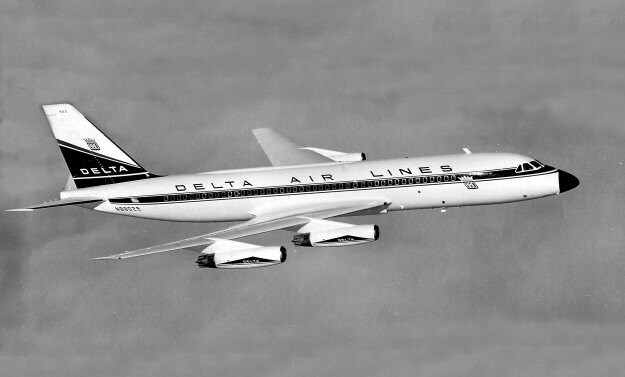 At the time of its first flight, Boeing had already received orders for 100 747-400s. It would become the most popular version, with 694 aircraft built by the time production came to an end 15 March 2007. The Boeing 747-400 airliner can carry between 416 and 524 passengers, depending on configuration. It is 231 feet, 10 inches (70.663 meters) long with a wingspan of 211 feet, 5 inches (64.440 meters) and overall height of 63 feet, 8 inches (19.406 meters). Empty weight is 394,100 pounds (178,761 kilograms). 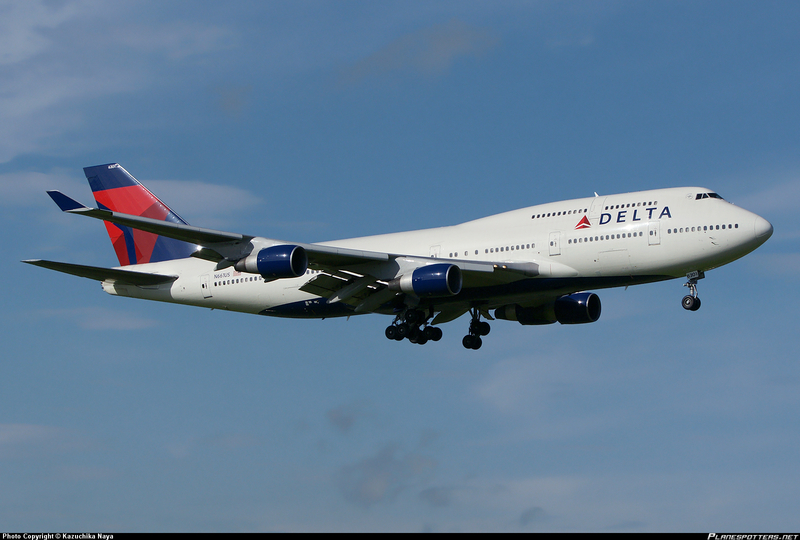 Maximum takeoff weight (MTOW) is 875,000 pounds (396,893 kilograms). 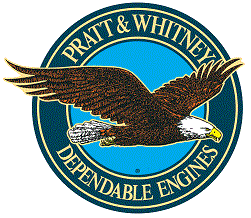 While the prototype was powered by four Pratt and Whitney PW4056 turbofan engines, production airplanes could be ordered with PW4062, General Electric CF6 or Rolls-Royce RB211 engines, providing thrust ranging from 59,500 to 63,300 pounds. The –400 has a cruise speed of 0.85 Mach (567 miles per hour, 912 kilometers per hour) and maximum speed of 0.92 Mach (614 miles per hour, 988 kilometers hour). Maximum range at maximum payload weight is 8,355 miles (13,446 kilometers). 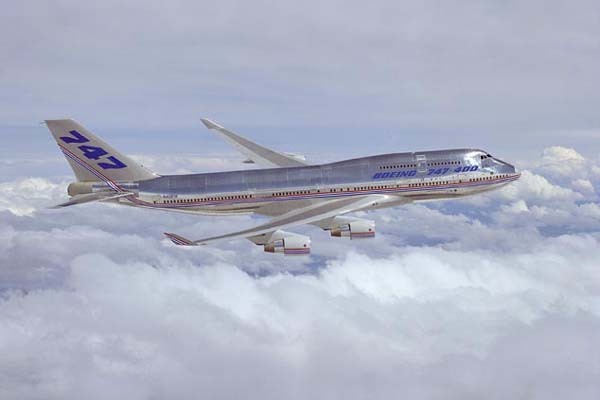 After the test program was completed, the prototype 747-400 was outfitted for airline service configured as a 747-451. 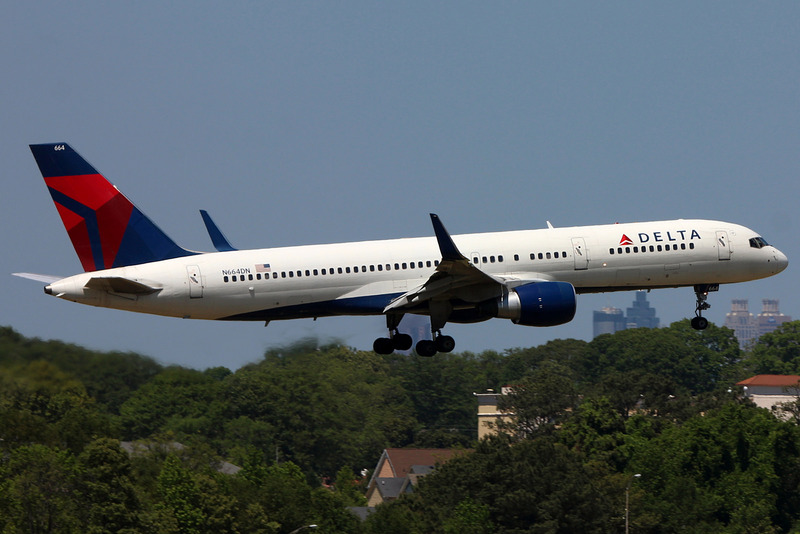 It was operated by Northwest Airlines and Delta Air Lines. 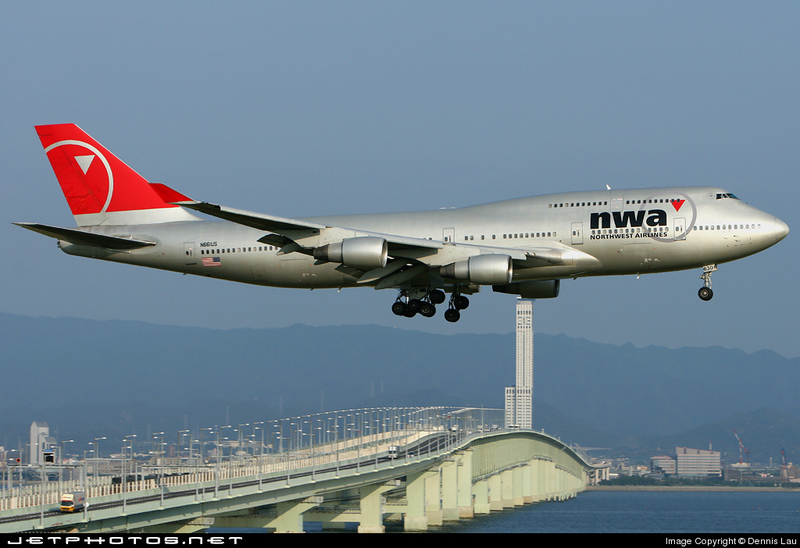 It was been re-registered as N661US, and carries the Delta fleet number 6301. N661US flew its last revenue flight 9 September 2015, from Honolulu (HNL) to Atlanta (ATL). It was then withdrawn from service. The first 747-400 is on display at the Delta Flight Museum near Hartsfield-Jackson International Airport, Atlanta, Georgia.